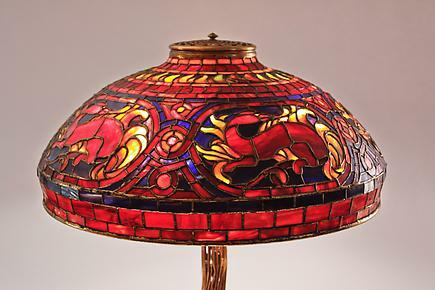 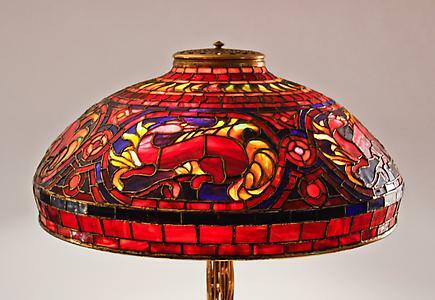 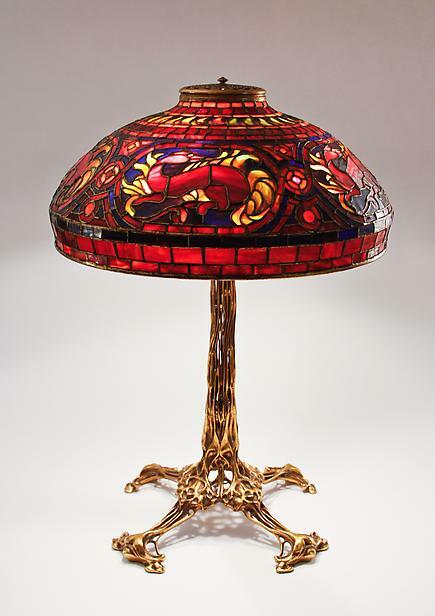 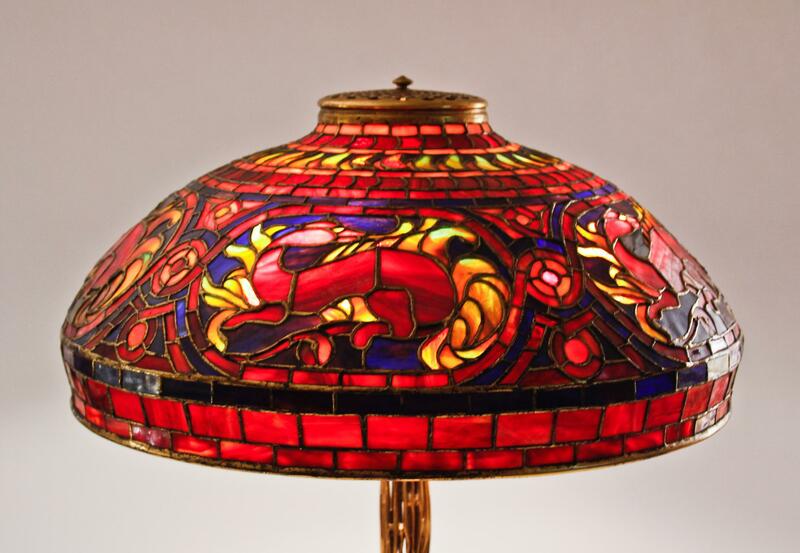 A Tiffany Studios leaded glass and bronze lamp comprising a "salamander" design on a gilded bronze "bird skeleton" table base. The lamp has an original bronze reticulated heat cap in matching finish. Both the shade and base are signed.